A set of 7 lovely lampwork beads with orange-red flowers and black and ivory dots. The beads are approximately 15mm in size. 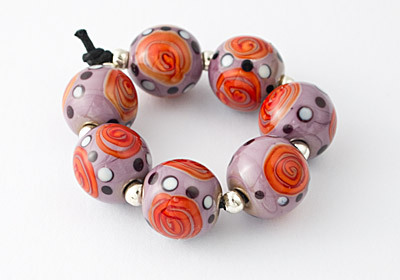 Each bead has been hand-made by Ciel Creations and kiln annealed for strength and durability.